The Justice and Peace Commission for the Southern African Catholic Bishops’ Conference (SACBC) has raised serious concerns about patent laws in South Africa that severely diminish the financial capacity of the health department to purchase new and more effective drugs for the public health care. In particular, the Catholic bishops are concerned that some effective drugs for cancer and TB are priced beyond the reach of the government hospitals and poorer patients, as the poor people in urban and rural areas are increasingly bearing the burden of cancer. Various cancer drugs are patented and priced out of reach, including Trastuzumab for HER2- positive breast cancer, Bortezomib used to treat multiple myeloma and mantle cell lymphoma and Sorafenib, an effective medication for kidney cancer. SACBC’s Justice and Peace Commission has called on the Department of Trade and Industry to save the lives of cancer patients by urgently finalising the National Policy on Intellectual Property for approval by Cabinet. Bishop Gabuza also indicated that SACBC’s Justice and Peace Commission has signed on to support the Fix the Patent Laws campaign. 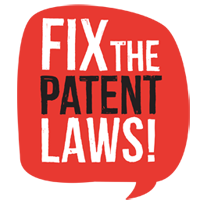 The Fix the Patent Laws Campaign was started in November 2011 by the Treatment Action Campaign, Doctors without Borders and SECTION27. 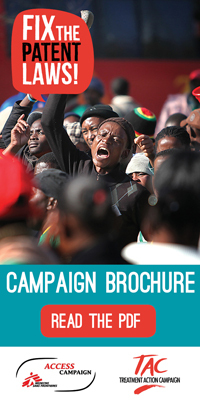 The campaign aims to ensure access to affordable medicines for all people living in South Africa, including those affected by cancer. Tel. 053 831 1861 or 053 831 1862.